In the free culture movement, culture hacking employs copyright law in new and unintended ways: by using the law to ensure attribution while abrogating restrictions on redistribution and adaptive reuse. This is one way we use copyright law at the Open Siddur in our attempt to make available a digitized repository of Siddur content that is available for editing, mashups, and remixing, i.e., “derivative works” that may be redistributed without restriction. For example, we want you to have the freedom to take the nusaḥ Ashkenaz, borrow kavanot from the nusaḥ sfard, and piyyutim (liturgical poetry) from the nusaḥ Roman; add and edit existing translations of familiar psalms and contribute and share your own translation of obscure piyyutim; share the pdf you build at Open Siddur and give it to an artist to apply an even more beautiful layout than the one we provide; and even redistribute the siddur commercially. For example, a number of siddurim are available digitally at the Hebrew language site of wikisource, a sister of the wikipedia project. Up until mid-2009, creative work on wikisource was shared with the GFDL license. Because the GFDL was incompatibile with other copyleft licenses like the CC-BY-SA, we weren’t able to incorporate wikisource work in our project until wikisource changed its licensing policy. If this sounds frustrating and absurd given that the authors of these piyyutim and tehillim could hardly imagine the publishing and intellectual property restrictions of the 20th and 21st centuries, it is. The fact remains that copyright is applied to the digitization of text and that includes the imaging/scanning, as well as the manual or automated (OCR) transcription of the text. Why, you ask, can’t we simply cut and paste these digitized siddurim and simply ignore copyright restrictions. Why indeed? I am quite certain that other online siddur projects have done this and may even currently be doing this with a laissez faire attitude towards the Berne Convention for the Protection of Literary and Artistic Works (1886), the Universal Copyright Convention (1955), and the World Intellectual Property Organization Copyright Treaty (1996) just to name a few of the relevant international intellectual property laws. To make certain, that our content is as free and open (really, in a sense, liberated) as culture within this legal environment we have endeavored to ensure all our core content is transcribed from works in the free cultural commons (e.g. the public domain). To do otherwise would frankly be much simpler… and thus, faster, especially for an ambitious project such as the Open Siddur and its sister, the Jewish Liturgy project. 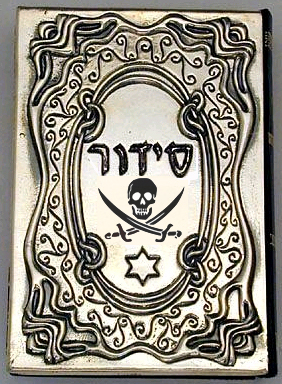 To do so, however, we would probably have to change our name to the Pirate Siddur, just to keep things honest. As tempting as this strategy is, the developers of the Open Siddur believe that the sustainability of this project as a platform for the creation of new cultural products within Judaism depends on our respect and awareness of the current restrictions on copyright and copyleft licensed works. We want the siddur to be Free as in Freedom, unencumbered, and unhassled. In our minds, this is a great act of loving-kindness (and gives us all a great big Mitzvah-rush!). But besides this, awareness of copyright licensing is essential for a project that envisions itself as a cultural platform for as yet unimagined projects that will add value to the project and programs of Judaism in general. 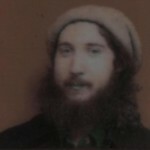 “Pirate Siddurim vs. Open Siddurim (PresenTense 2009)” is shared by Aharon N. Varady with a Creative Commons Attribution-ShareAlike 4.0 International copyleft license. 2009-06-23 at 10:15 pm · Reply. IMO, That’s a bit oversimplified. Non-copyleft free software licenses frequently (though not always, see CC0 or zlib) require attribution, and maintainance of the license text on the work itself. All include warranty disclaimers. Copylefts (GFDL, CC-BY-SA) ensure that a work will always remain attributed and free, including when in commercial works. “Copyleft” and “commercial” are not incompatible. The copyleft term is that if the work is distributed, the distributor is required to distribute the work and all derivative works under the same terms as the original license. That means that, for each copyleft, a set of “compatible licenses” such that each compatible license contains equal or less restrictive terms than and non-contradictory terms to the copyleft itself. By nature, that makes all copylefts incompatible with all other copylefts. And, that’s how we end up with license incompatibility divides (GFDL vs CC-BY-SA, which substantially want to achieve the same goal). It’s also why Wikipedia got the GNU project to update the GFDL to allow them to switch over to CC-BY-SA. The free culture community is rallying around CC-BY-SA as their universal copyleft in the same way that the, in the free software community, the GPL is the major copyleft. If everyone can agree on a copyleft, license incompatibility is less of an issue. 2. to allow the author to choose one copyleft (CC-BY-SA) for new works. That means that the entire (officially distributed) project’s work will never result in a license incompatibility. The reasoning behind #2 is that an author of an original work should not have to contribute to new locked-in works. For new works, that does not contradict any strong feelings against locking in the liturgy. 2012-08-23 at 11:56 am · Reply. Does this mean that every transcription project needs to connect itself to a physical public domain source of the text? The blue chumash I have on my shelf has the same exact text as a dusty hundred-year-old chumash at the library. If I were to transcribe the text from the former versus the latter, would I be violating copyright? Has a copyright holder of a public domain digitization ever been able to prove that his text was ripped off, rather than the public domain original? 2012-08-23 at 9:05 pm · Reply. If one is digitally transcribing a work in the Public Domain it makes sense to us to link to a scanned image of the source witness, both for the sake of attribution as well as for checking by other proofreaders. In your example, you assume the text of one Ḥumash to be the same as any other. You might assume this if there was no disagreement in the Masoretic tradition, no errors of tradition, and no editorial decisions. In the real world, there are small and subtle variations between editions, even in correcting errors, not to mention the differences between the Masoretic traditions witnessed in the Leningrad Codex and the Aleppo Codex. Copyright law is different in different countries but in the U.S. Copyright protects something which determined to be “creative” for a fixed length of time before the term of copyright expires and the work enters the Public Domain. So it is not possible to have a “copyright holder” of a Public Domain digitization. Once a work enters the Public Domain, its copyright has expired, and simply changing the format of the work from print to digital is not an expression of creativity that is protected under copyright law. Editorial decisions might be and often a problem is that someone who claims a copyright over a digital edition that would otherwise seem to be in the Public Domain is under no obligation to indicate what creative changes they made to the text that would permit their work to be protected under copyright law.